STILE is not simply the title of the single volume including the whole production of Metalco in over thirty years, but it is also a word embodying the concept of “Made in Italy” elegance and, at the same time, collecting 5 of Metalco’s guidelines: Storia (Story), Tecnologia (Technology), Innovazione (Innovation), Lusso (Luxury) ed Ecologia (Ecology). 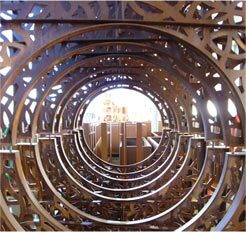 Metalco is a company internationally known for its production of street furniture and pods. Founded in 1984 from the encounter of two young entrepreneurs, the partnership started its activity with a small production of modular fences, seatings, benches, litter bins and cycle racks, characterised by innovative design and bold colours. During the formative years, the commercial success obtained in Italy and abroad, pushed the firm to a constant search and experimentation in design, materials and in the manufacturing processes: progressively, the range of products increased, with new products arriving including shelters for public transport, barriers, bollards, advertising supports, public illumination, pods and much more. 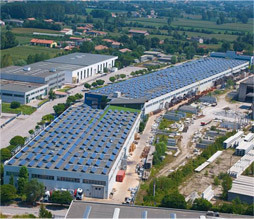 With the new Millennium, the market grows and Metalco does too: between 1999 and 2000 a new 25,000 sq.m manufacturing and commercial headquarters opened, equipped with the most advanced technologies in the sector. To keep Metalco at the fore front of the industry, a technical department and a R&D division were set up, constantly committed with the development of new products. Over the years the firm has developed and keeps developing many prestigious collaborations: worldwide famous architects and designers like Antonio Citterio, Pininfarina, Marc Aurel, Alessandro Lenarda and many others, have signed products and collections for Metalco. Result: Metalco today boasts the broadest existing range of street and outdoor furniture and metallic modular fences, known in over 60 Countries in the World. Over the years, the development of Metalco involved and revolutionised all production processes, pursuing a continuous improvement of industrial efficiencies and taking into account the necessary flexibility to meet the technical requirements of the clients. Metalco has the most innovative technologies used in the industry and highly qualified personnel, who are part of an on-going programme to search for quality and innovation. Since the beginning, the constant research for forms and innovative solutions aimed at enhancing the functionality of the objects has been the adopted guide line. For years the company has had a Design Department, a Technical Department and internal industrialisation process, so as to achieve a synergic development through all phases of the project and to enhance the characteristics of the materials used according to the product type. At the same time, the company has established collaborations with international, well-known designers and with prestigious academic institutions. 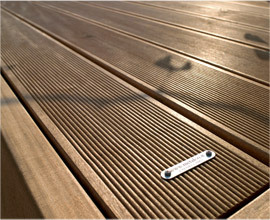 The result has been products which have redefined the concept of street furniture and outdoor furniture, awarded by major associations for design and appreciated by users. Simple yet powerful words, enchasing Metalco’s mission: a Firm, a Brand, that does not want to be a part in a war of prices and anonymity, but wants to distinguish its self for the high level of its products and projects and wants to make of each City the first home of all citizens and visitors. Prestigious, luxury, unique Cities. Prestigious, luxury, unique products. People not living in the greyness of the global crisis, but surrounded by the colours, the beauty, the uniqueness and prosperity of their cities. Sustainable energy and manufacturing process. The greatest attention is given to the ecology, specifically through: the use of wood from certified forests that are managed fairly and responsibly; recyclable products; energy demands completely covered by a photovoltaic system installed on the roof of the Company’s building. Metalco avoids emitting around 5000 tons of CO2 into the atmosphere each year, equivalent to the consumption of 300 homes. 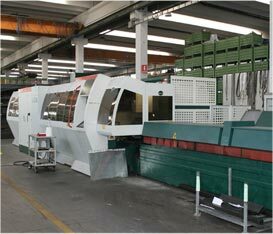 We are an exclusive partner of METALCO Srl company for Czech and Hungary market.